The New Avengers #26, Marvel Comics, cover-dated January 2007. "Untitled" or "The Ballad of Clint Barton and Wanda Maximoff," by Brian Michael Bendis, with art by Alex Maleev. In the aftermath of "The House of M," Hawkeye is dead and Scarlet Witch has disappeared. Except that Hawkeye isn't dead anymore, and he wants to find Wanda. Can Doctor Strange help him track down the Witch? What (or who) does Clint find when he searches for Wanda? And does Professor Alan still have the huge crush on Wanda that he did when he was young? Listen to the episode and find out! 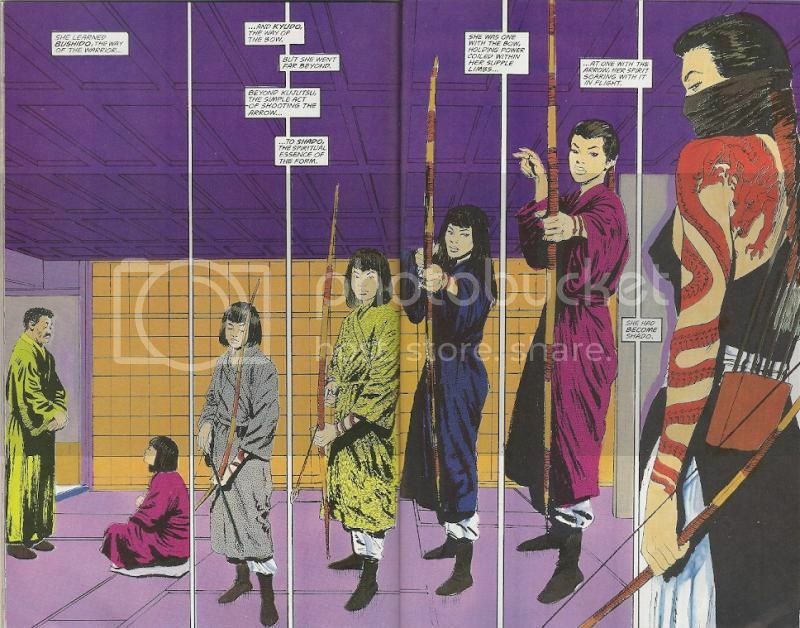 ﻿﻿﻿﻿Next Episode: Shado: Song of the Dragon, Book #3, DC Comics, March 1992. 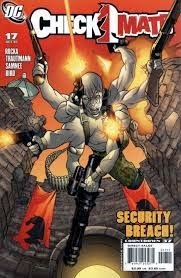 Checkmate #17, DC Comics, cover-dated October 2007. "Firewall," written by Greg Rucka and Eric S. Trautmann, with art by Chris Samnee and Steve Bird. A former villain is interviewing for the position of Checkmate's head of physical security. Can he handle the interview process? What exactly is the interview process? And how did Sasha Bordeaux get from the 10-cent adventure to here? Listen to the episode and find out! ﻿﻿﻿﻿Next Episode: New Avengers #26, Marvel Comics, cover-dated January 2007. Shado: Song of the Dragon, Book 2, DC Comics, cover-dated February 1992. "A Force of Dragons," written by Mike Grell, with art by Michael Davis Lawrence and Gray Morrow. In the aftermath of the attack on the monastery, the Yakuza leader still wants the special Yakuza sword. Will he have to kill his brother to get the sword? And how did Shado become such a deadly archer anyway? Listen to the episode and find out! ﻿﻿﻿﻿Next Episode: Checkmate #17, DC Comics, cover-dated October 2007. No comic book talk this time -- just talk about many TV shows we watch that are based on DC comics properties. Crazy theories abound about we expect to see, what we'd like to see, and what in our fevered dreams and imaginations we daydream of seeing. We also manage to have a lengthy discussion on the implied cosmology of the DC Universe. SPOILER ALERT -- we talk about the shows, the episodes that have aired, and our conjectures, predictions, and crazy theories about what may happen in the future. You have been warned.